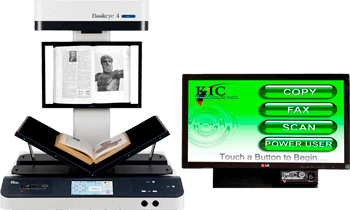 All of these full-color Click Mini configurations are less expensive to own and operate than a typical B&W copier for libraries. 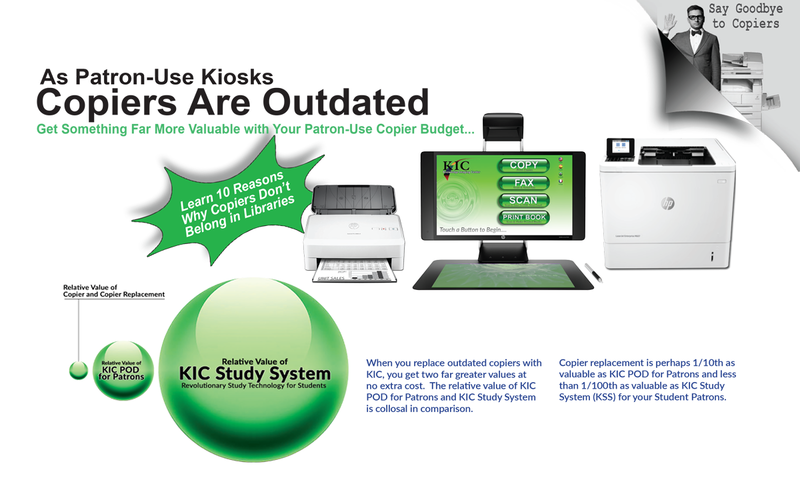 KIC says goodbye to photocopiers! 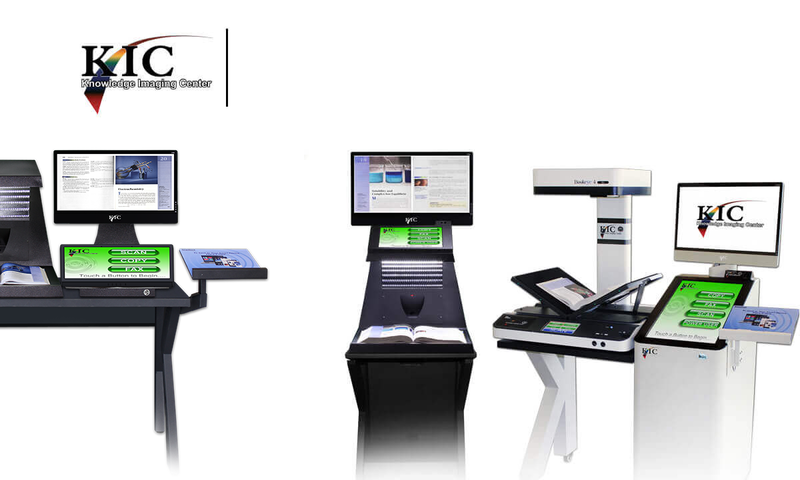 Face-up book scanning is sooo much easier than face-down, especially for books. 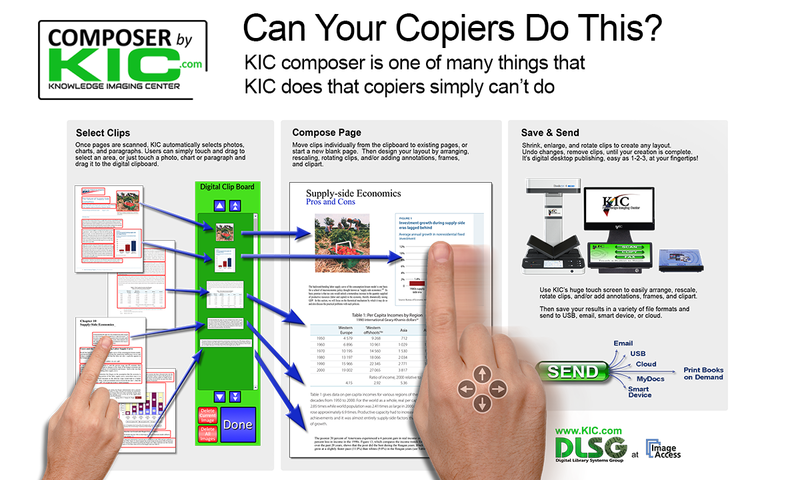 KIC is not a copier and does not “replace” copiers. 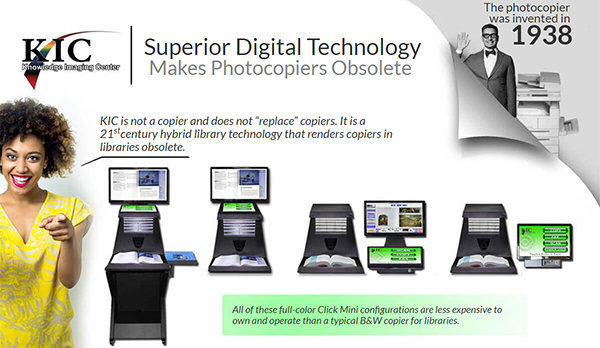 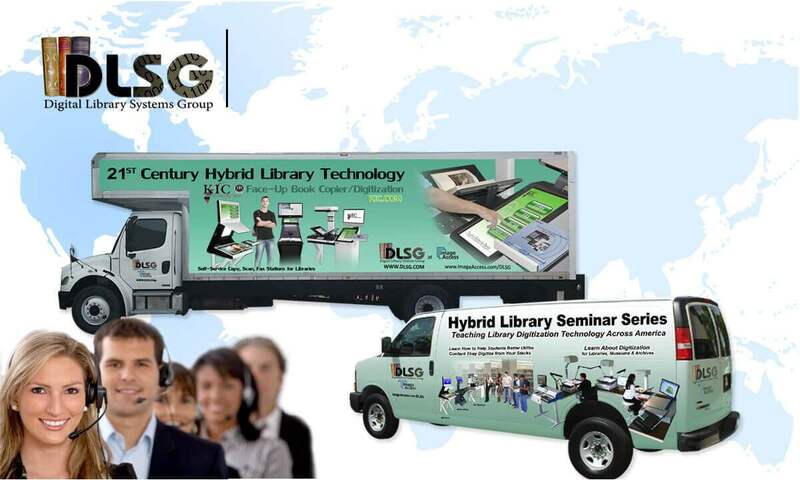 It is a 21stcentury hybrid library technology that renders copiers in libraries obsolete. 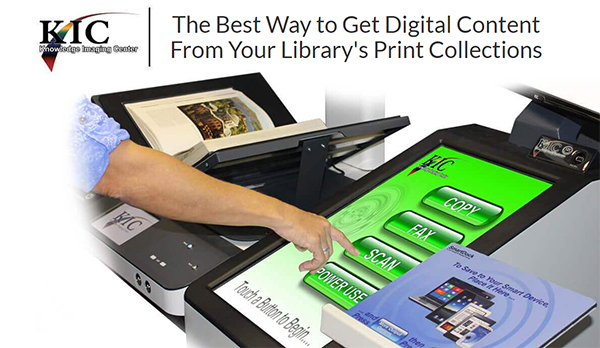 NO LONGER APPLY to the library floor!! 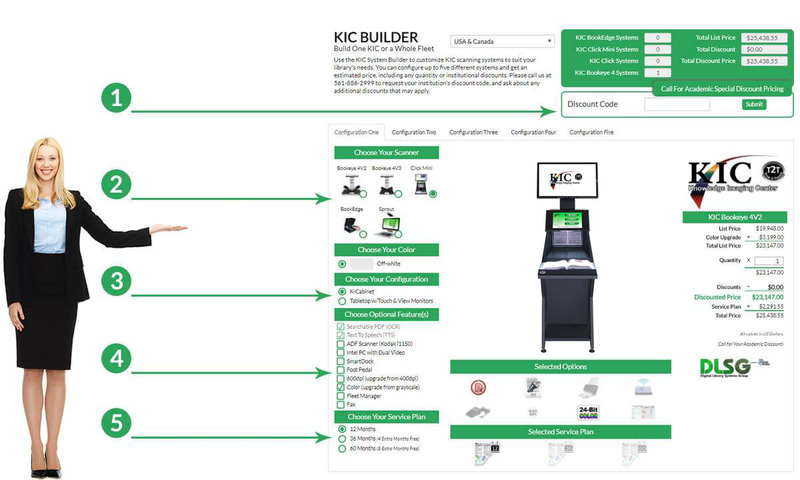 Use KIC Builder online to select models, choose options, and build your KIC System. KIC Builder is fun and easy to use, and it's a great place to get answers. 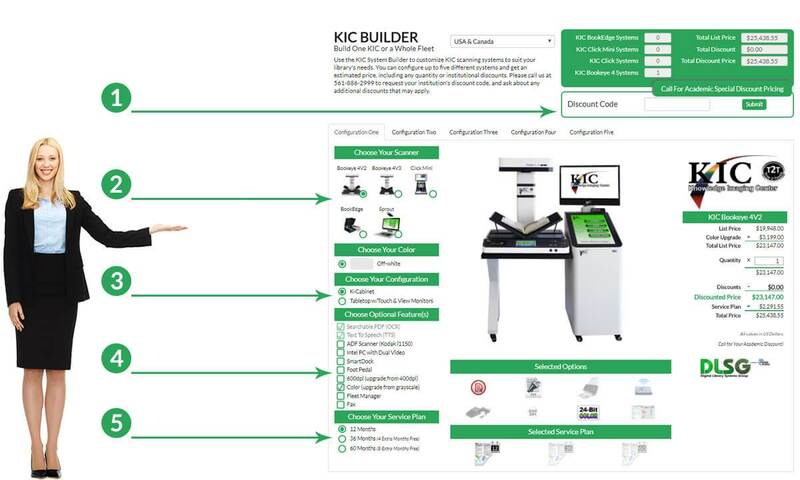 the help desk and make sure it's powered up. 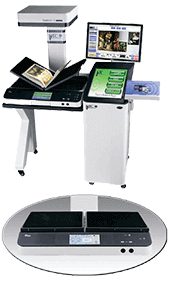 I think the cleaning staff may have unplugged it when they moved some of the equipment last night. 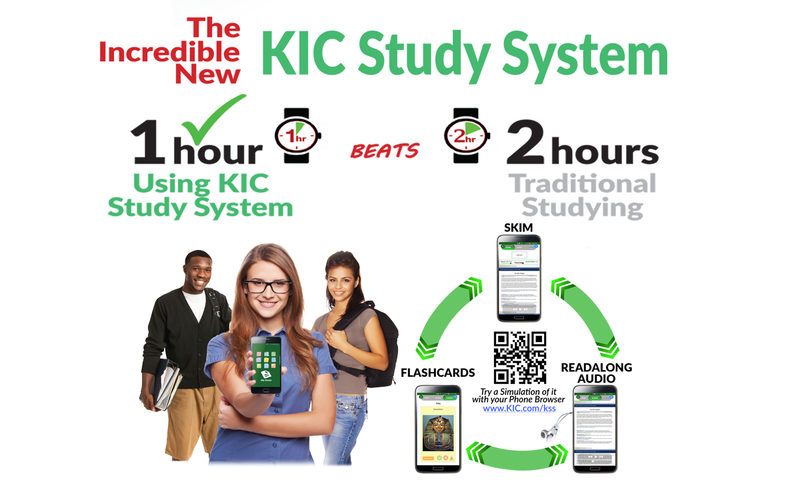 that it's twice as busy as this bigger KIC. 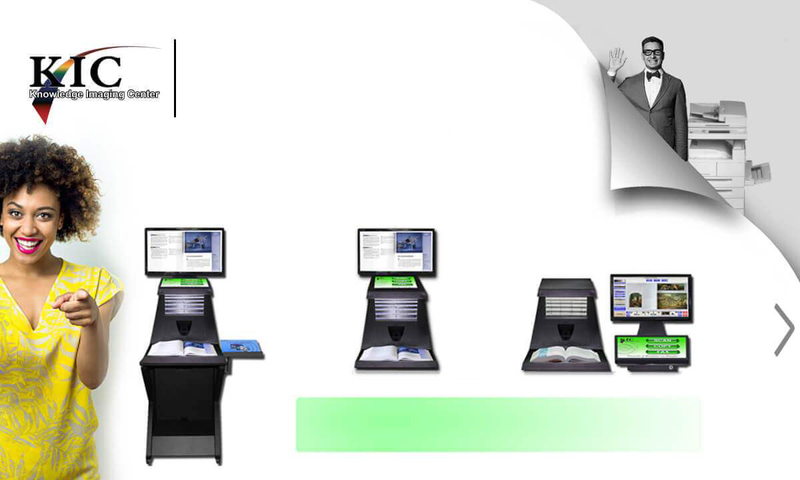 Can we switch these two for better throughput and shorter lines? 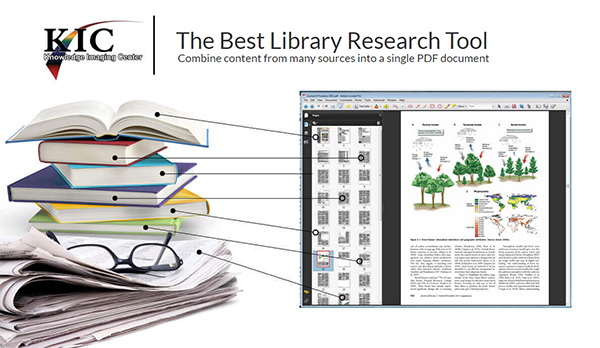 You've really got an informative tool there that makes it an easy decision. 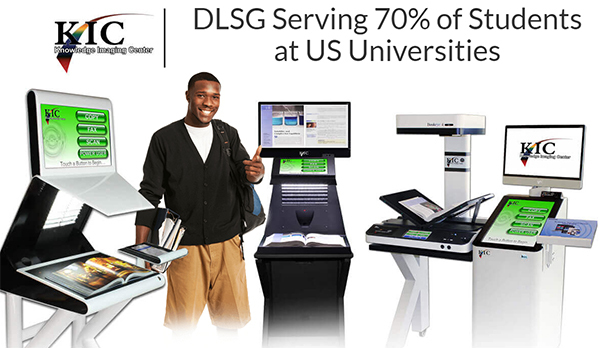 Serving 70% of Students at US Universities. 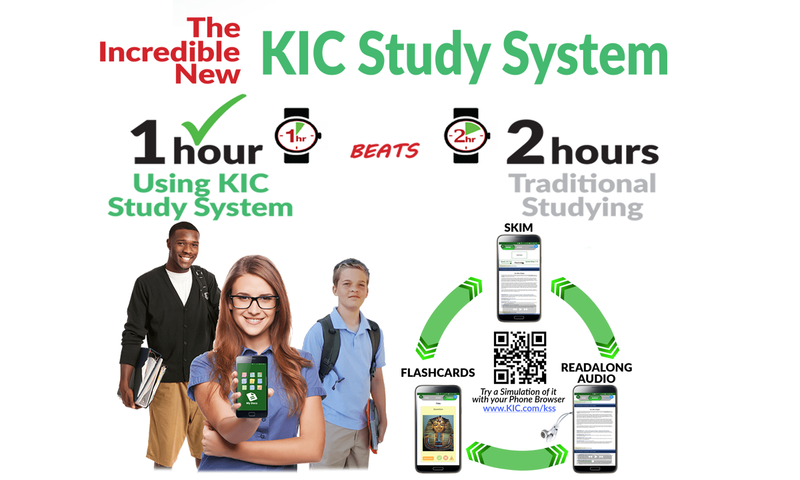 Your 4th grade through 12th grade students should have it, too. 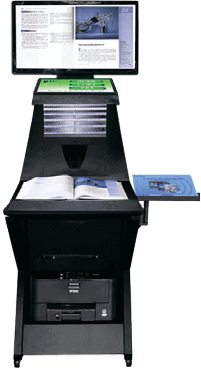 science wing study hall and make sure it's powered up. 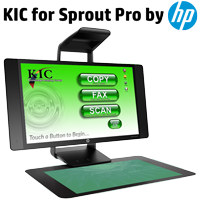 Your dollars go further with our complete KIC product line. 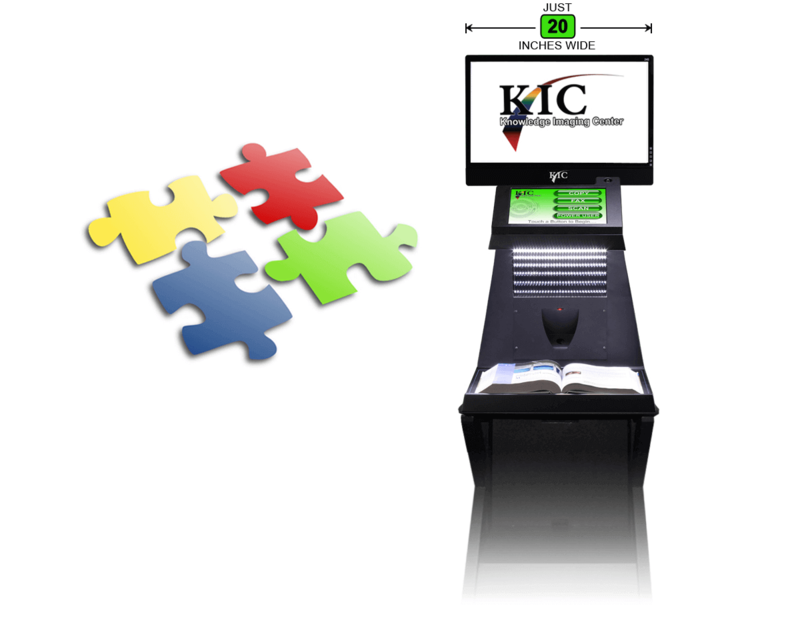 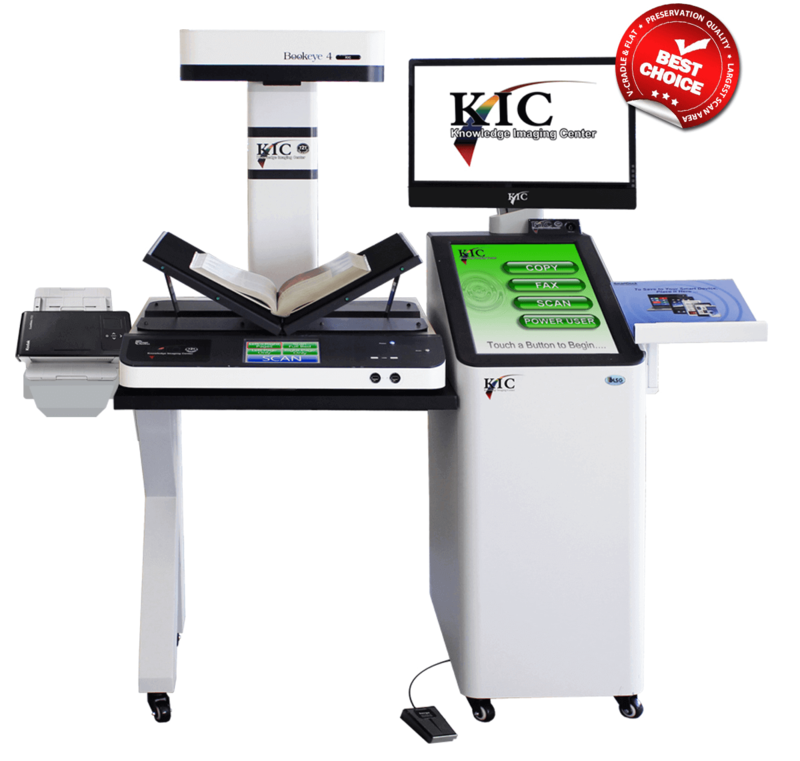 Every institution would like to have at least one large KIC system, especially for reading rooms and reference sections, but not all library floor locations require a large system. 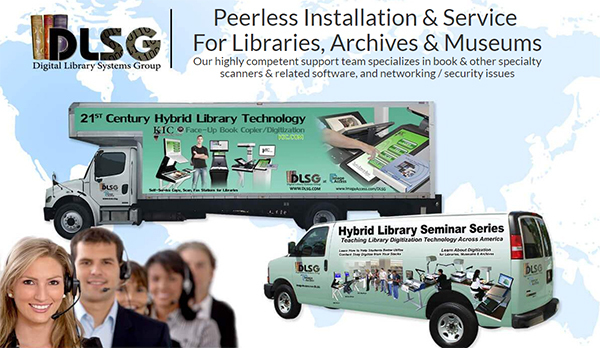 Our array of products lets you get as many bigger systems as you need and fill out the rest with lower-cost systems. 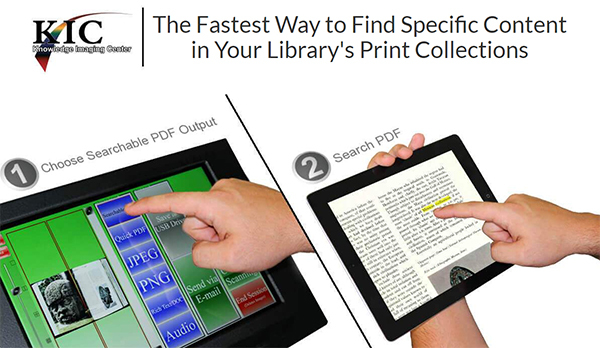 Output Formats: Basic PDF, JPEG, PNG, MP3 Audio(TTS), Google Docs, Cloud, Dropbox... USB, Email, FTP, Admin Folder, Smart Dock™, Tablets, eReaders and Smart Phones. 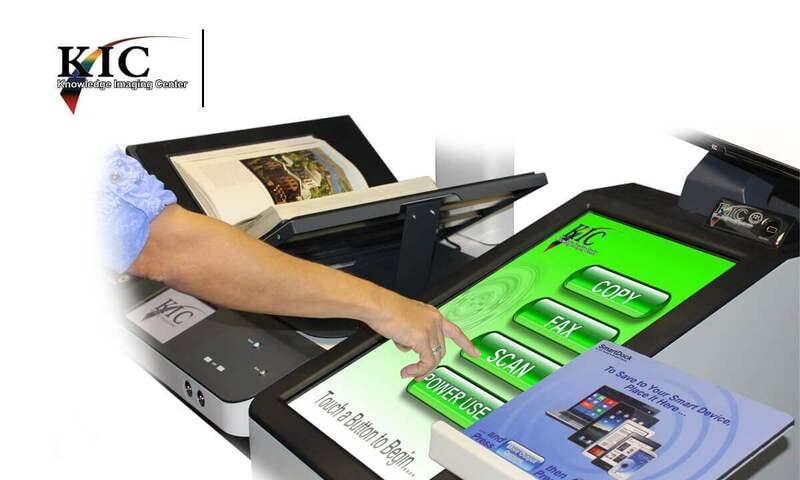 Copier Replacement Capabilities: Collate, Black&White Color, Automatic Document Feeder Option, Multiple Shared Printers, Charge for Prints via Blackboard, ITC Sys, CBord, Diebold, Copicard, Danyl Sys, Debitek, Gen Meters, Jamex, Pharos, Vendapin, Virtual Cash, etc. 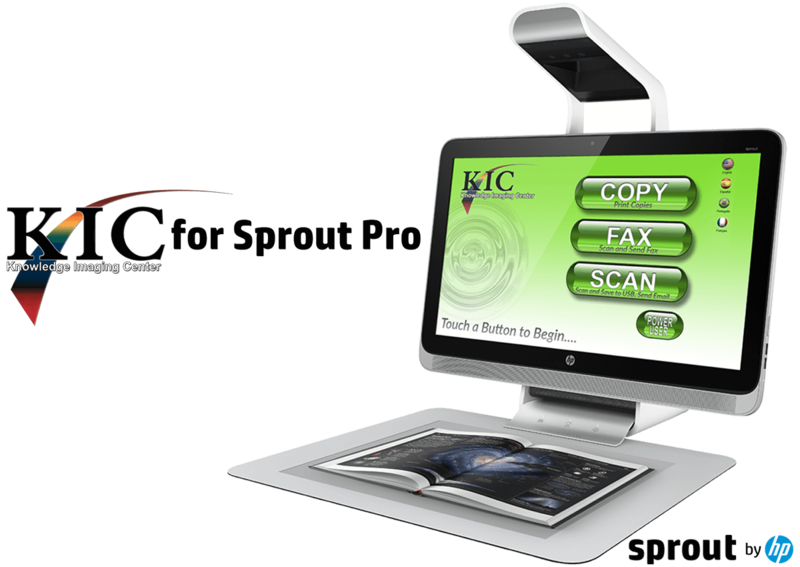 User Interface Features: True 2 Touch™, Separate Preview Screen, Full-Size Preview, Large Touch Screen (24 inches), ADA Support. 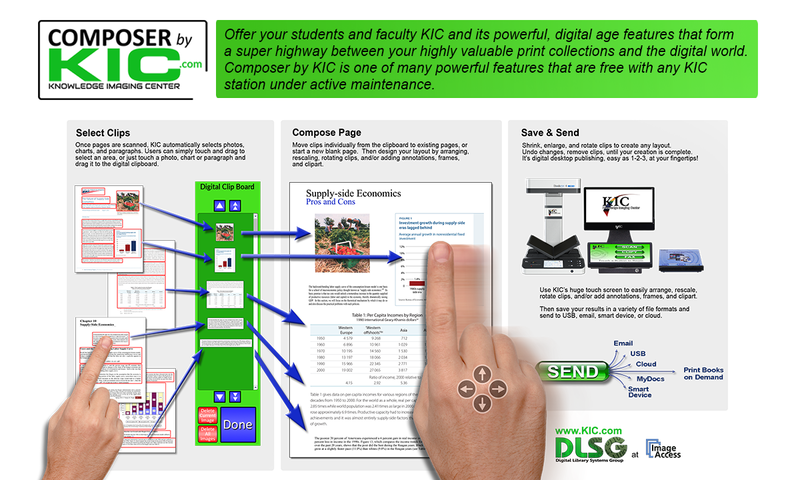 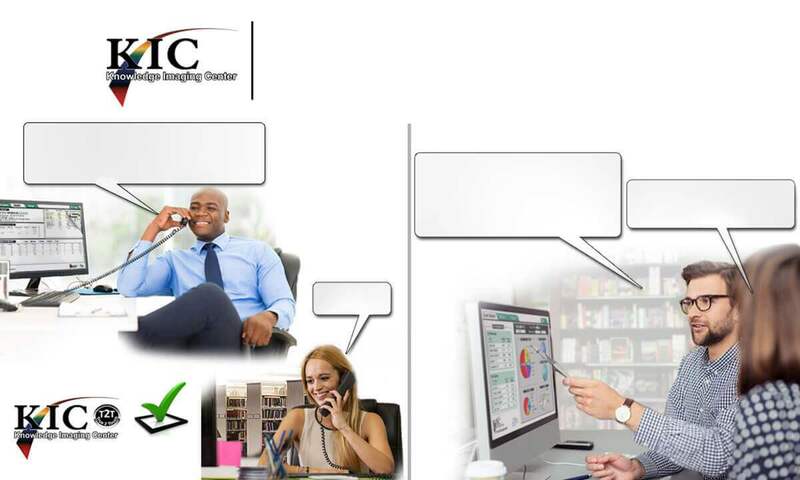 Image Editing Features: KIC Composer, KIC AutoNote, Collate, Clip, Rotate, Crop, Split Left & Right Pages, Deskew, Correct Book Curve. 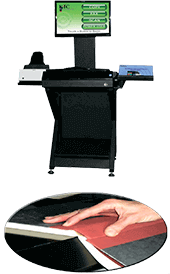 Optics: 24 Bit Color, 260-300 dpi Output. 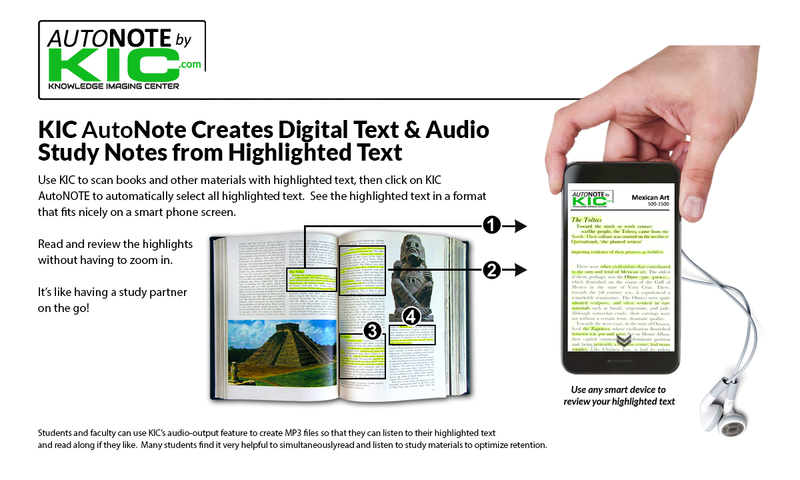 Copyright © 2018 Image Access Inc.